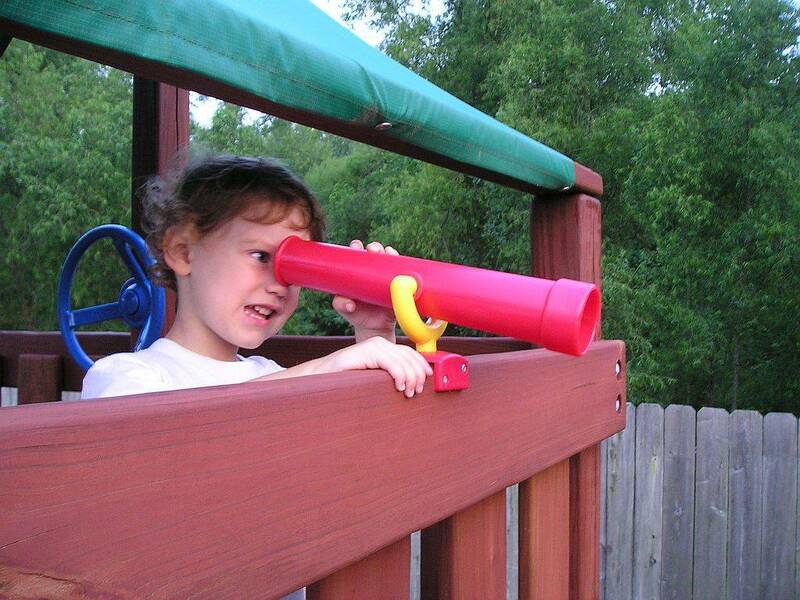 These brightly colored Telescopes are made of durable polyethylene with a clear lense at each end. 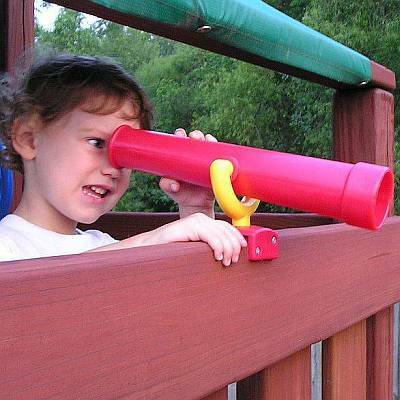 Encourage your child to gaze at the stars, watch birds in nearby trees, or engage in imaginative play with this educational and fun addition to your wooden swing set or fort. Mounting hardware is included for every telescope which installs easily. Each telescope measures 15 inches in length by 2 1/2 inches in diameter. They are available in blue, yellow, or green.